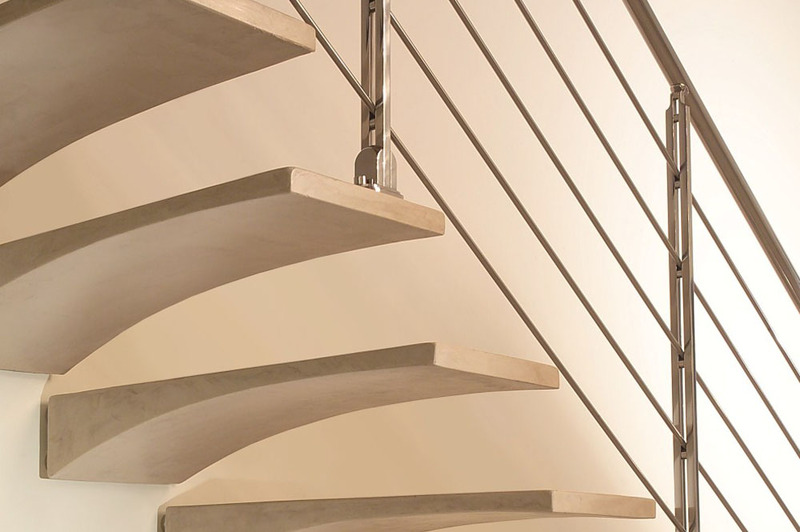 A collection of Floating staircases created from resins to marble and the finest timbers from around the globe. 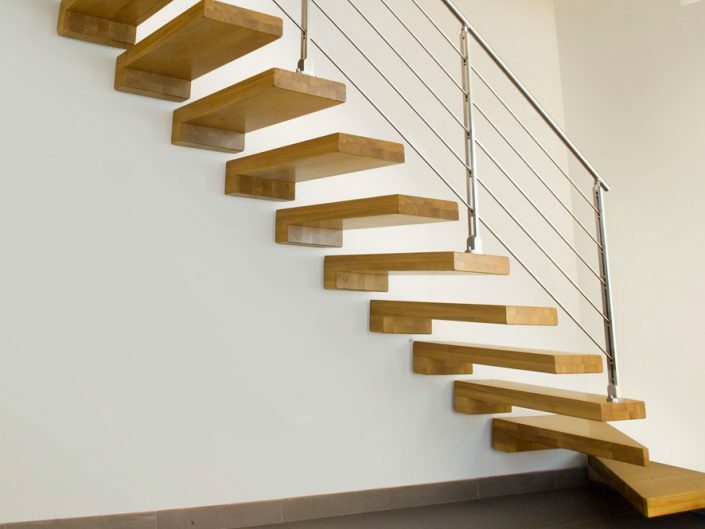 Cantilevered staircases give the appearance that the treads are floating on air yet creating a simple clean open feel to the room where the stairs are located. 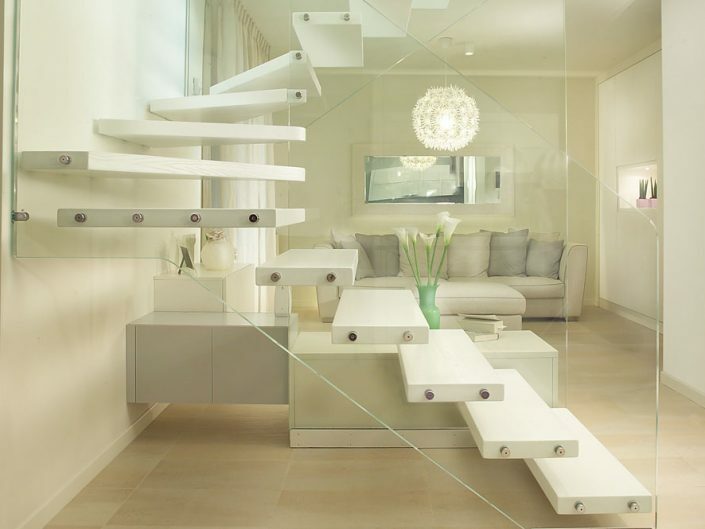 We can blend together virtually any materials to create a unique design. 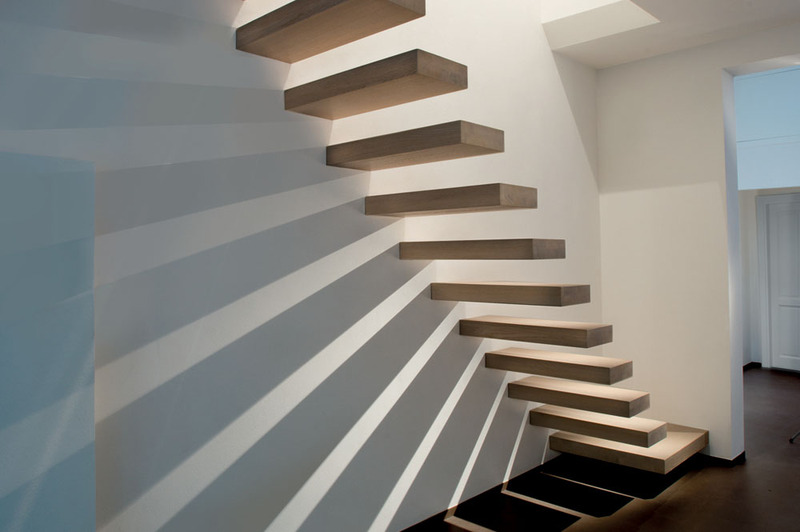 Installation of the floating staircase will require a load bearing wall for the stairs to be securely fixed to. 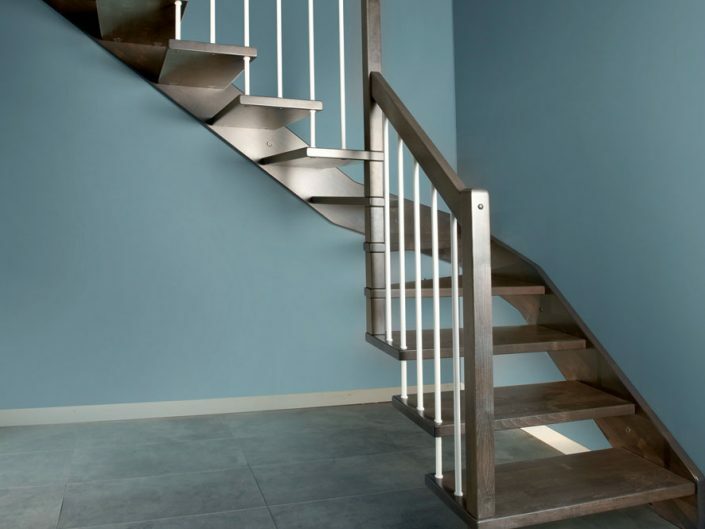 Which can be done in several ways and a widely used format is to create a steel sub frame to bolt to the wall before plastering. 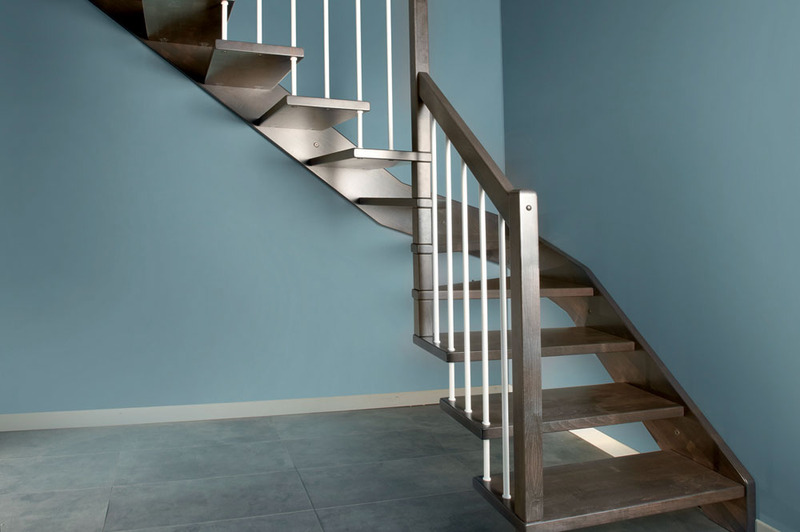 Whilst this is a good way of creating your staircase we have developed a more efficient way of fixing the stairs to load bearing walls in that we drill into the wall once its been plastered and decorated and then align your staircase where we then discreetly inject resin into the wall giving a much slicker finish for our stunning stairs. 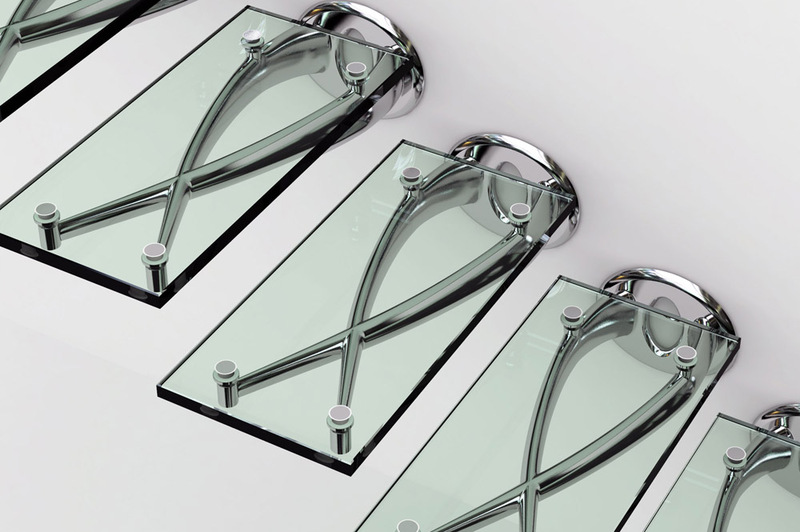 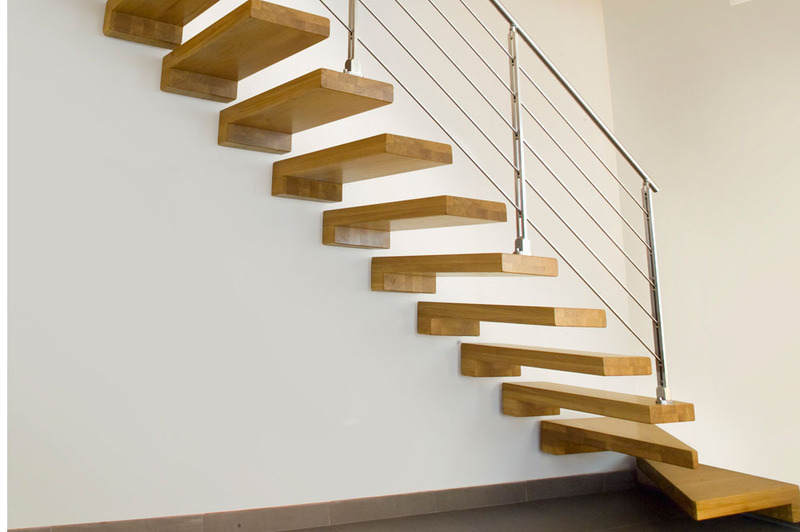 The required strength can then support a tread of up to 1100mm in length subject to structural design etc. 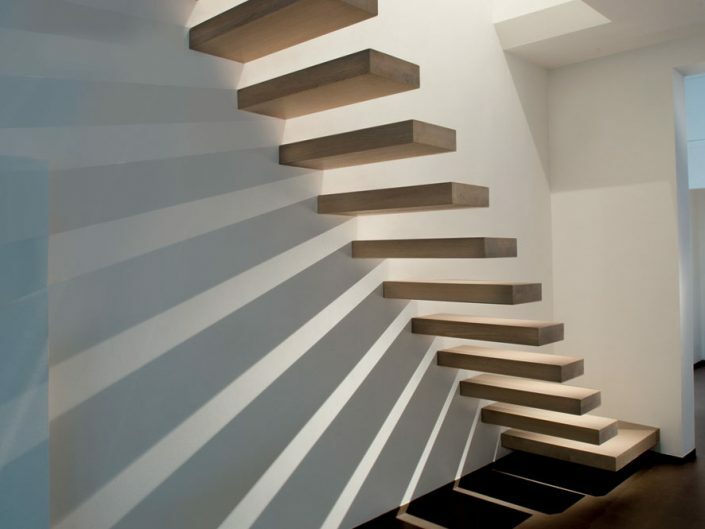 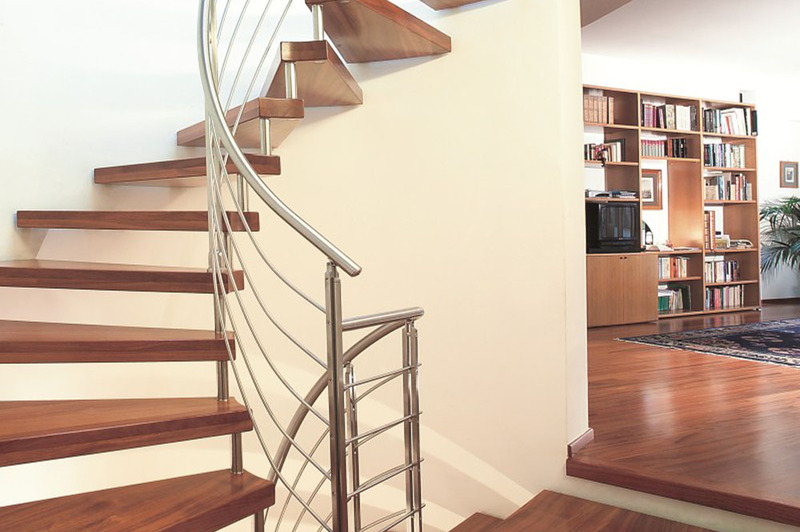 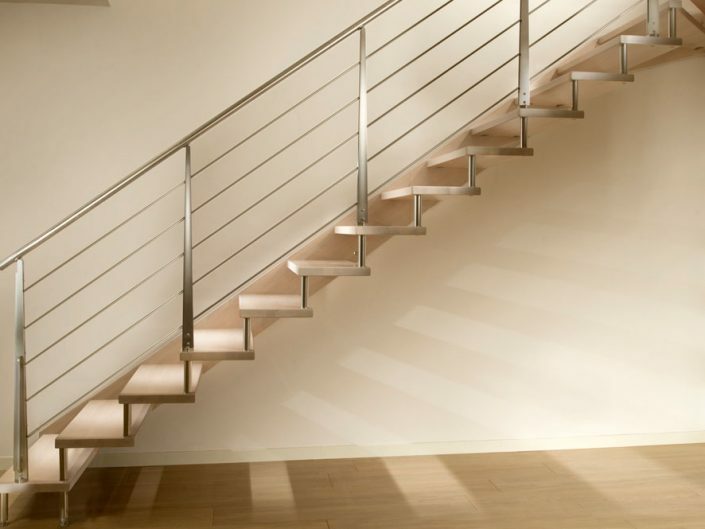 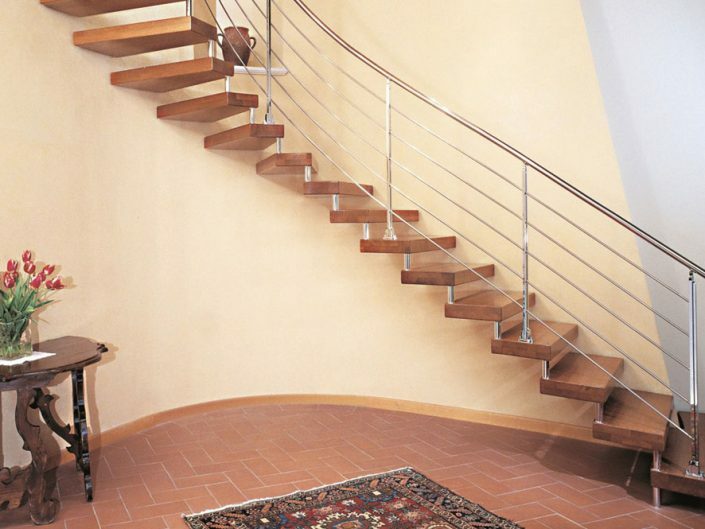 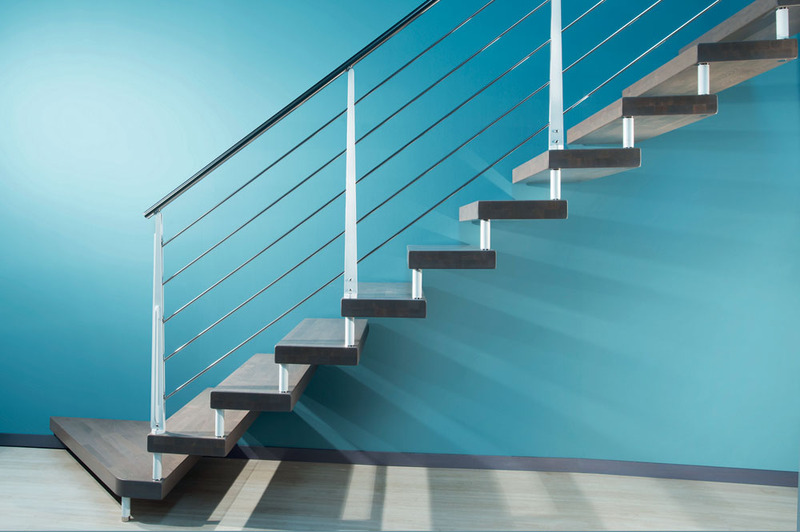 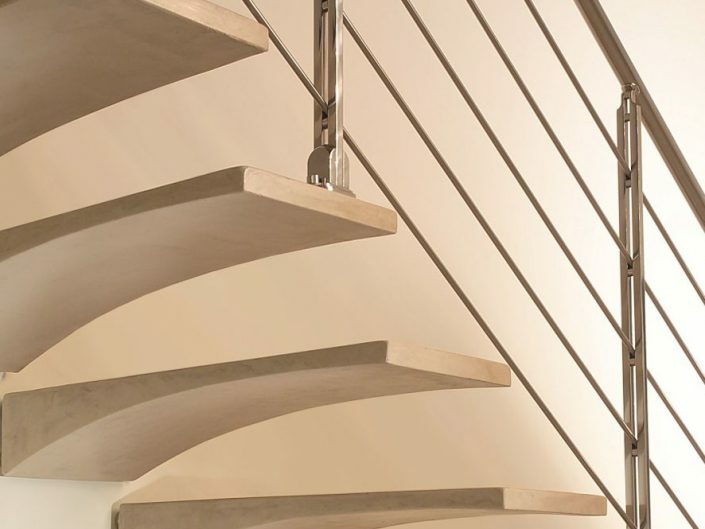 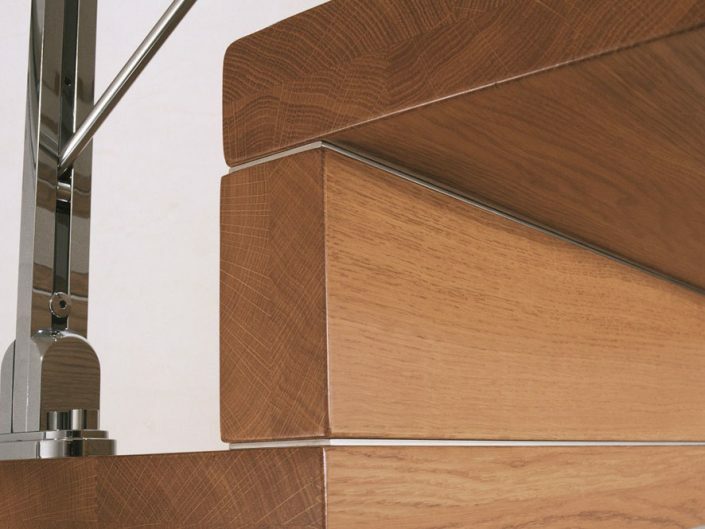 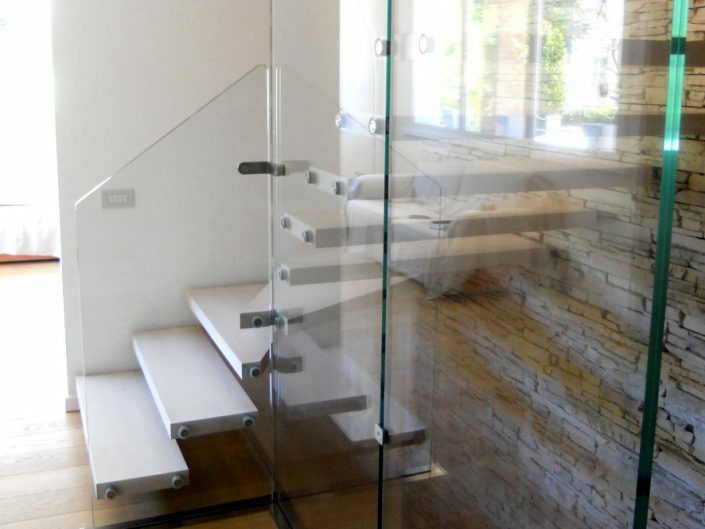 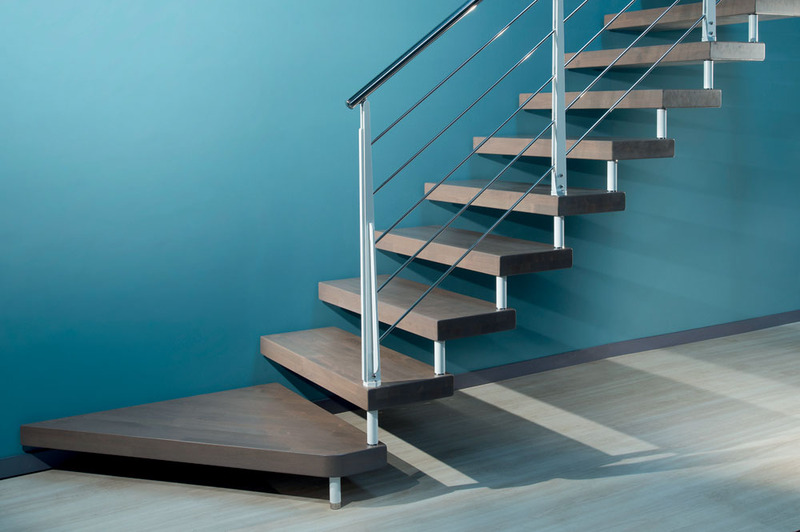 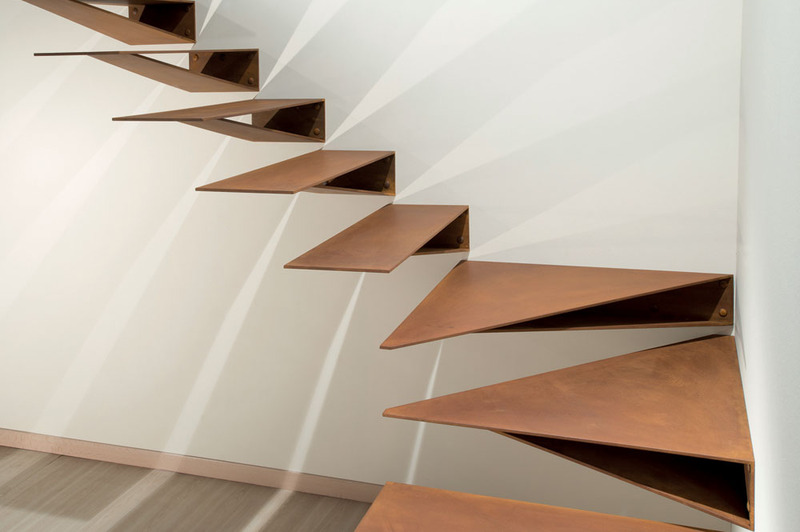 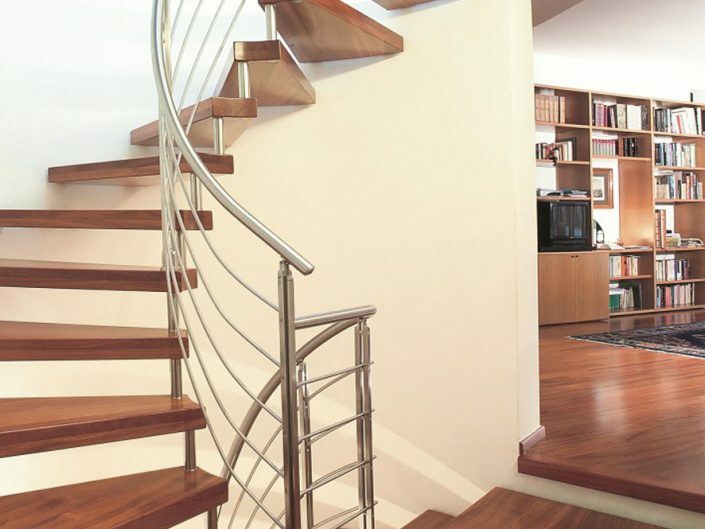 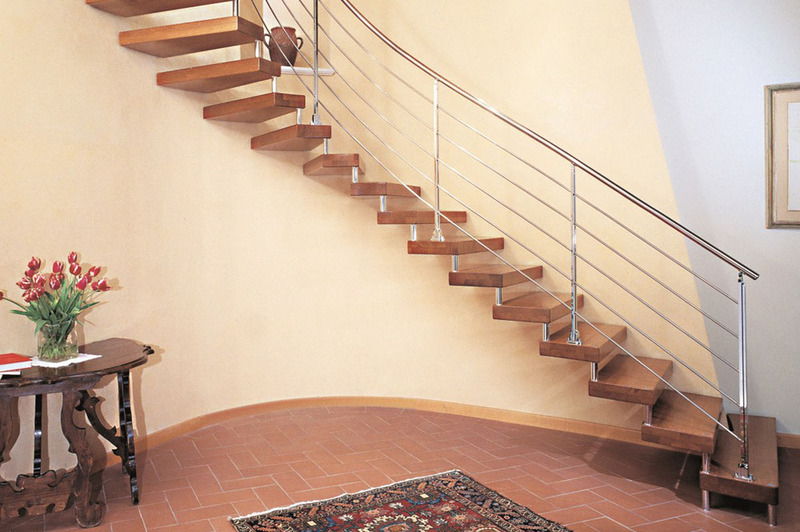 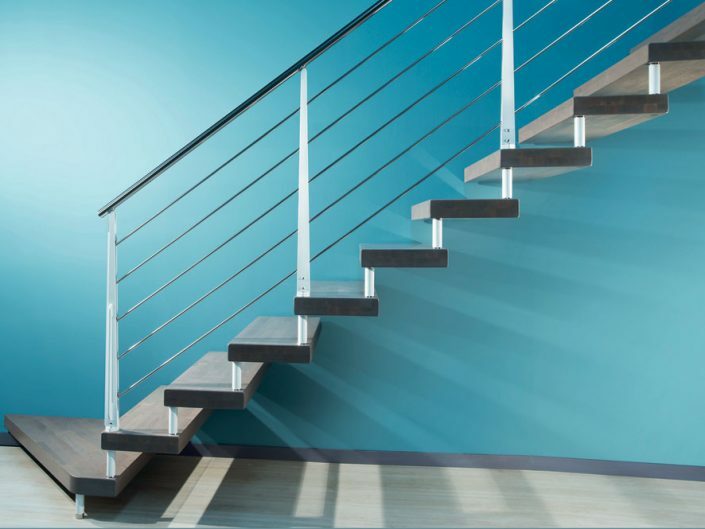 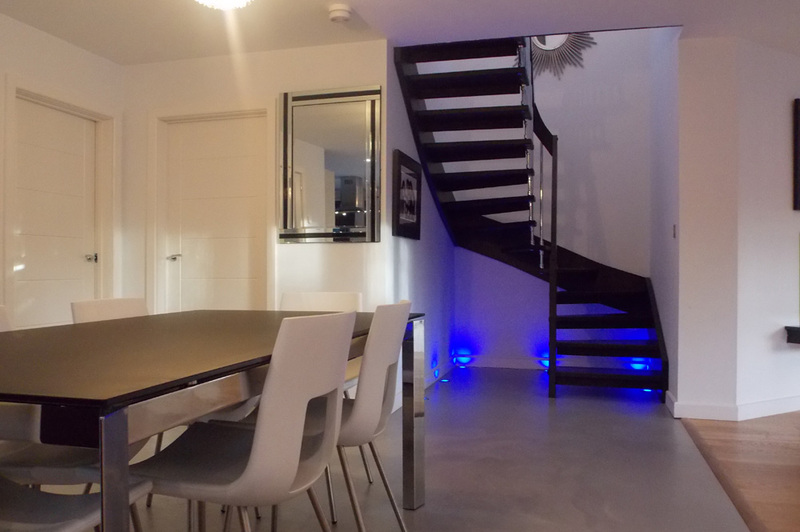 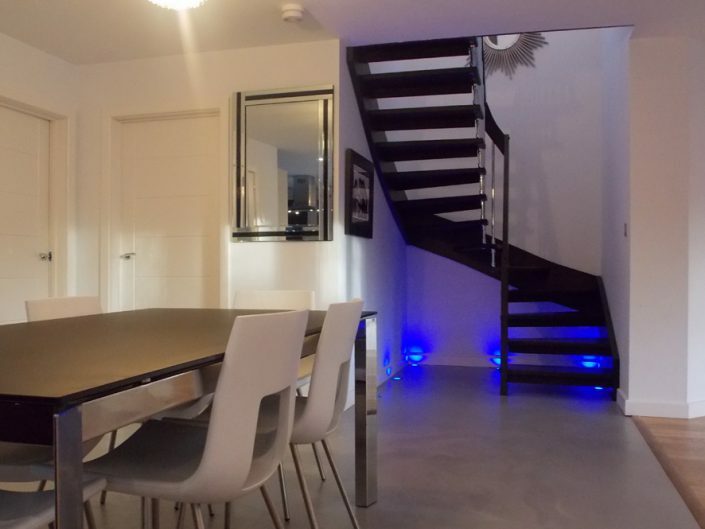 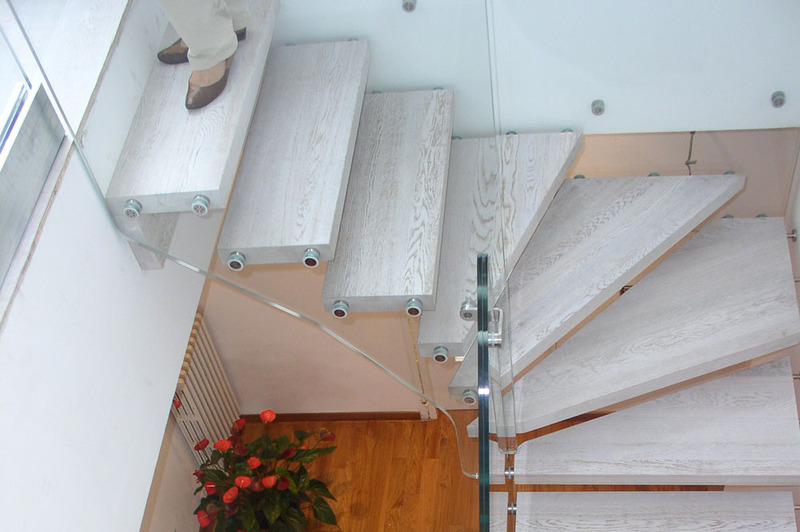 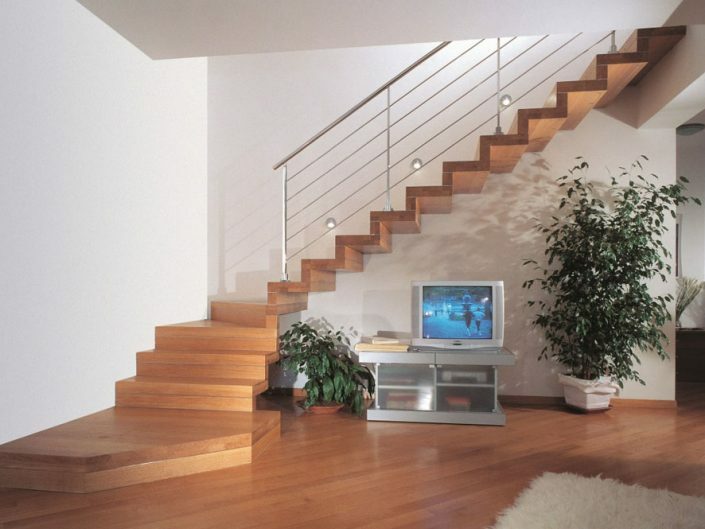 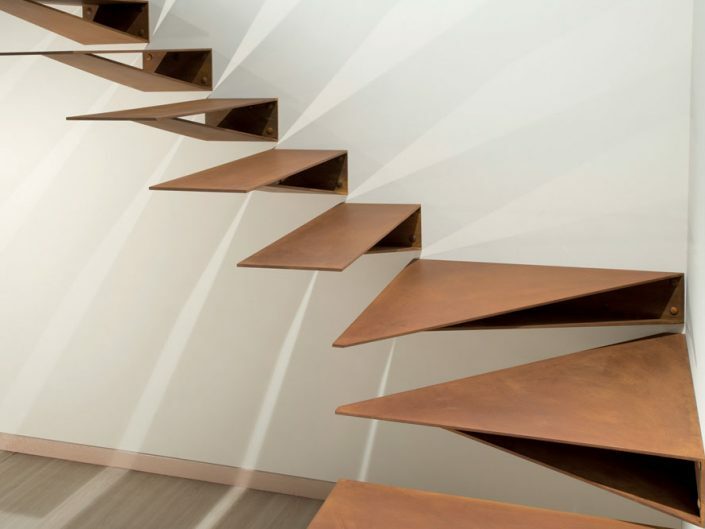 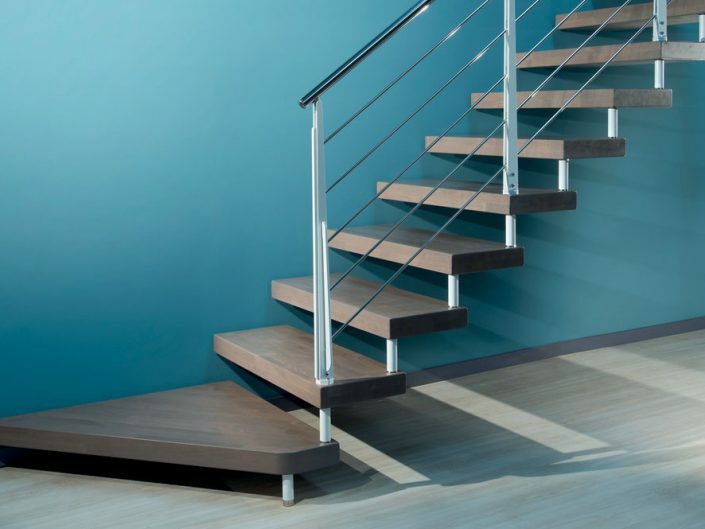 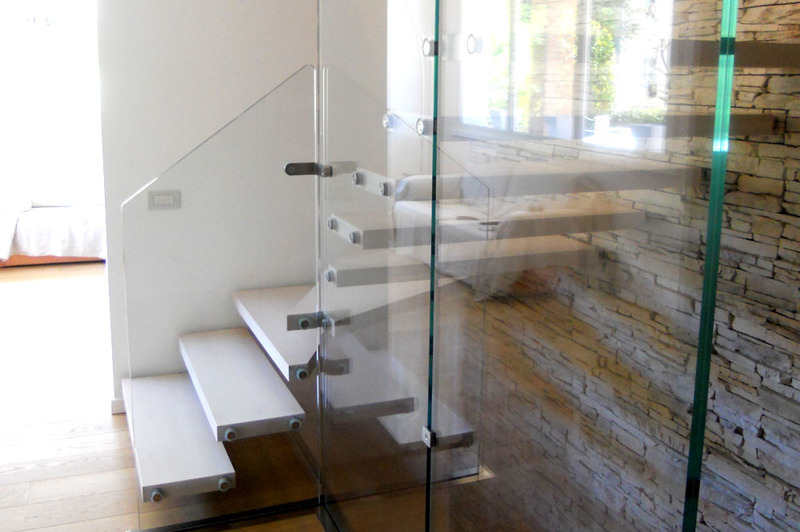 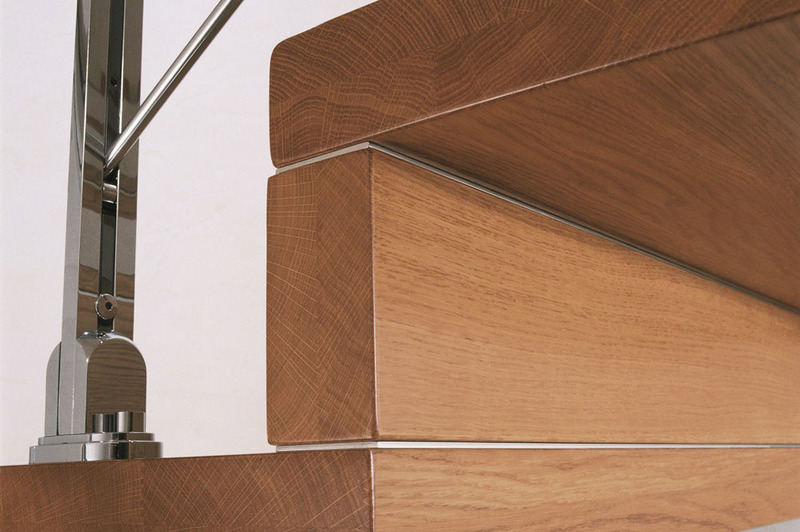 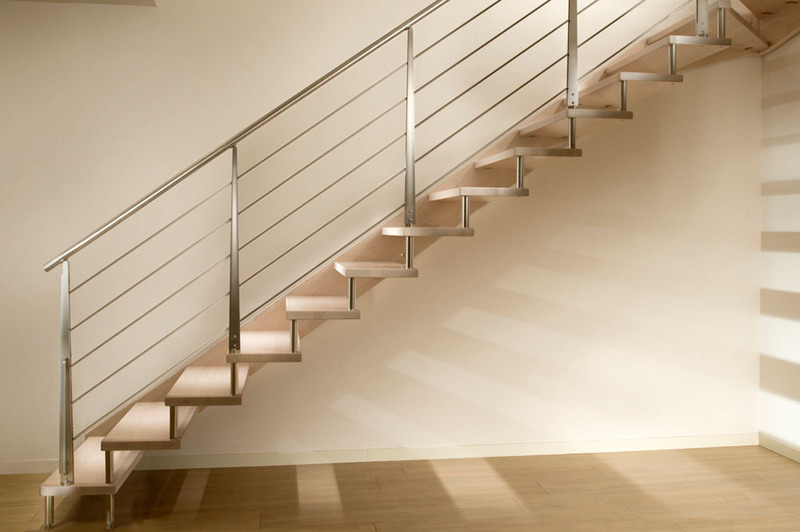 Alternative ways of forming the floating stair can be by utilising a decorative steel string mounted to the finished wall or a timber string fixed to the wall both could be in a parallel or zig zag appearance and decorated to match the stair treads or contrast dependant upon your own personal preferences. 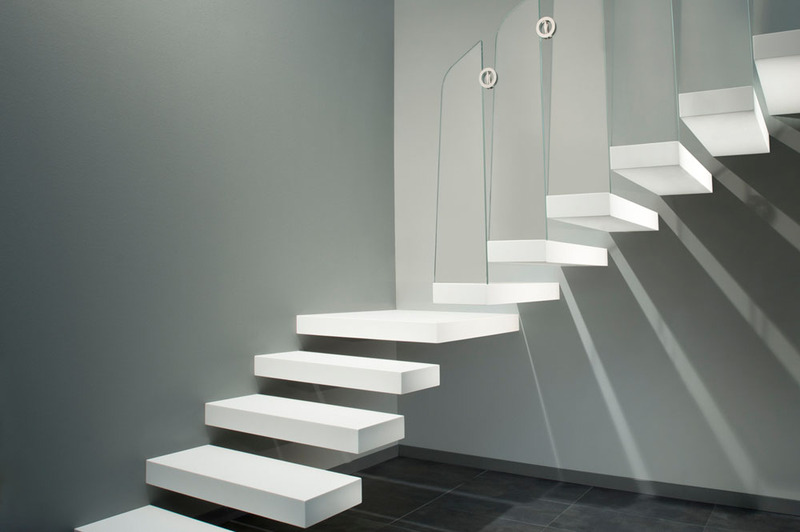 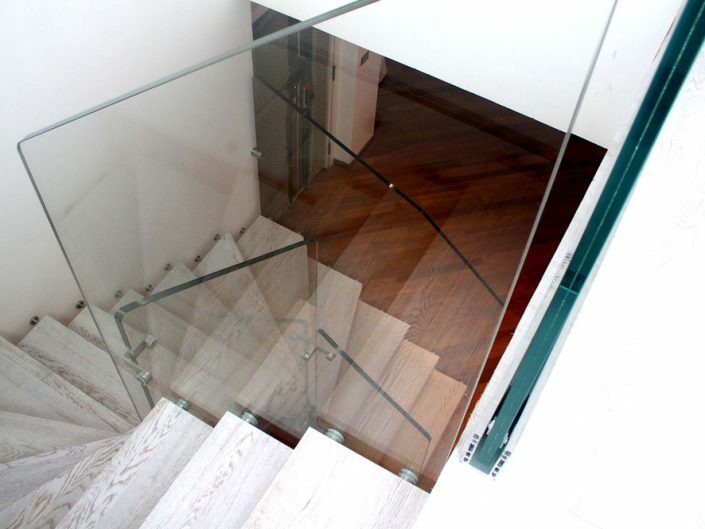 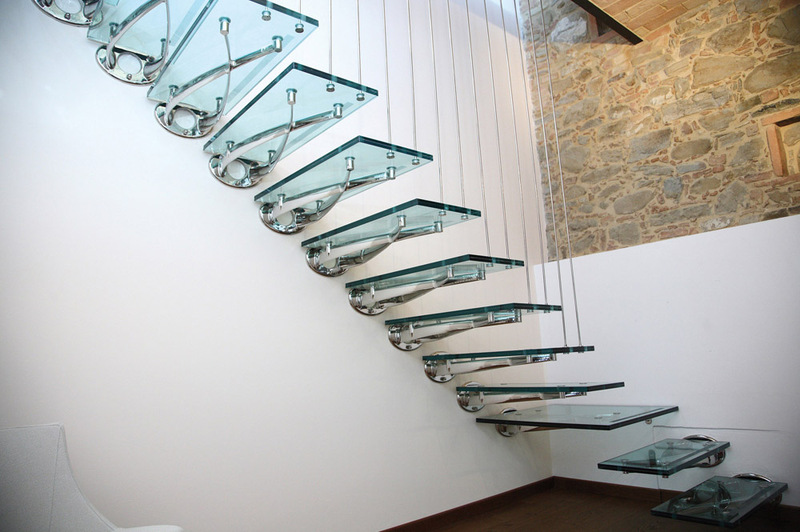 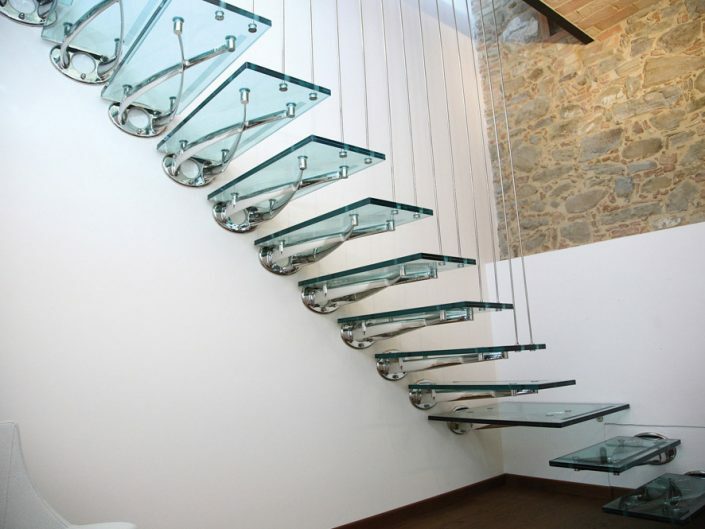 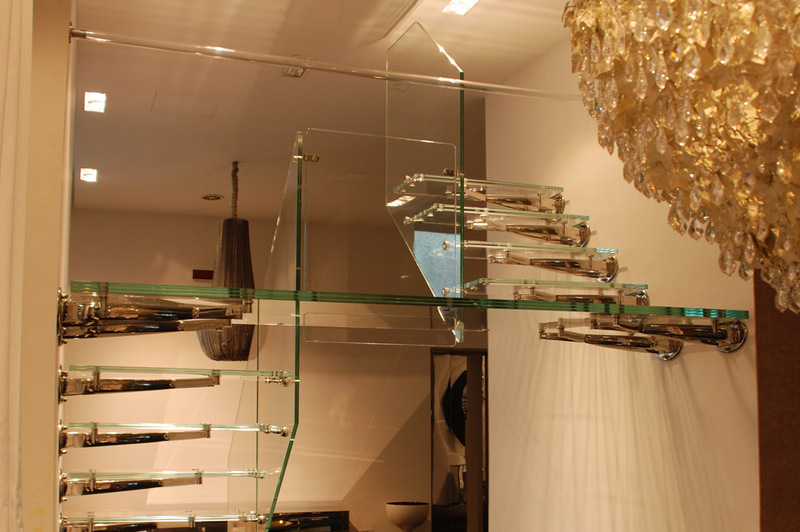 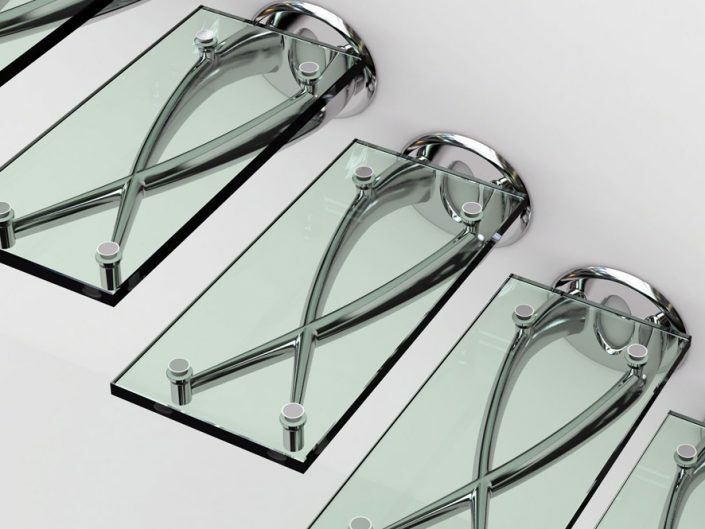 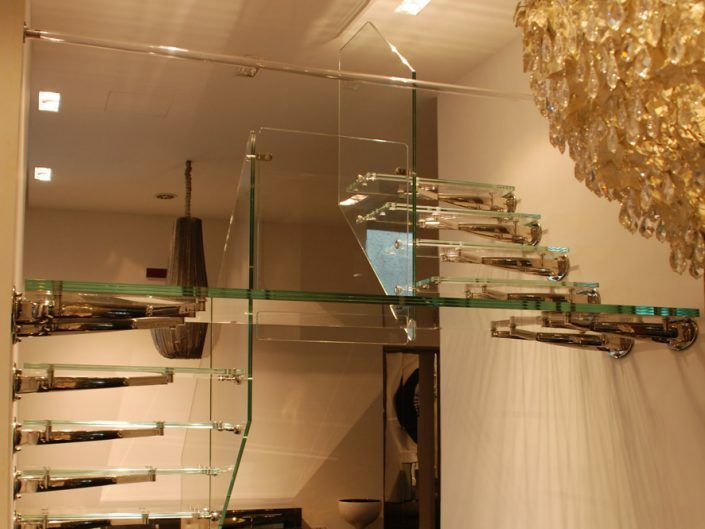 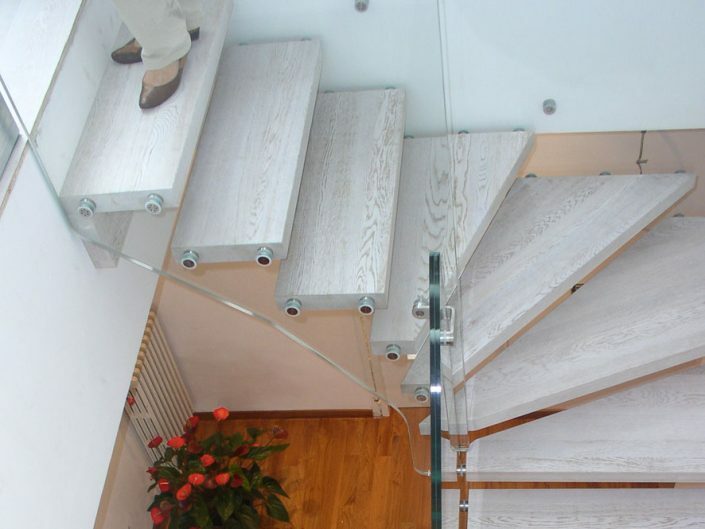 We can create many styles of treads and finishes for our staircases in glass, steel, metals, timber, marble, stone and resins along with an amazing array of colours and finishes for you to have a totally unique staircase.Defy gravity within your property as you ascend to another level with our beautiful designer floating staircases. 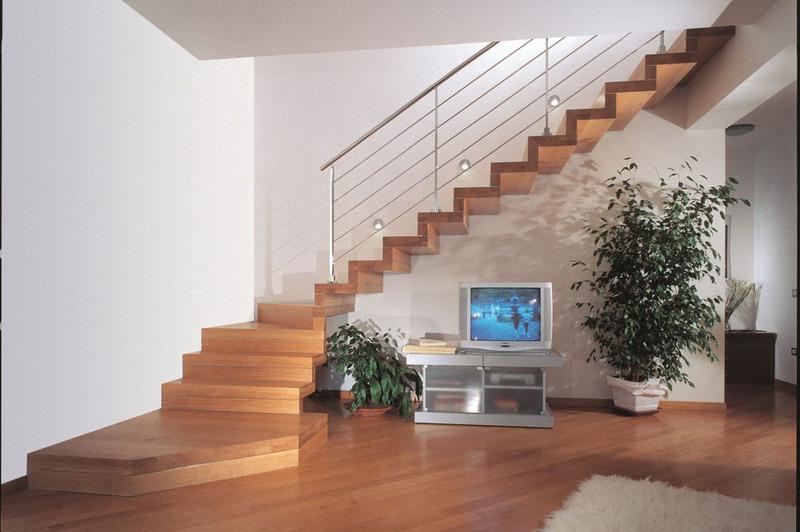 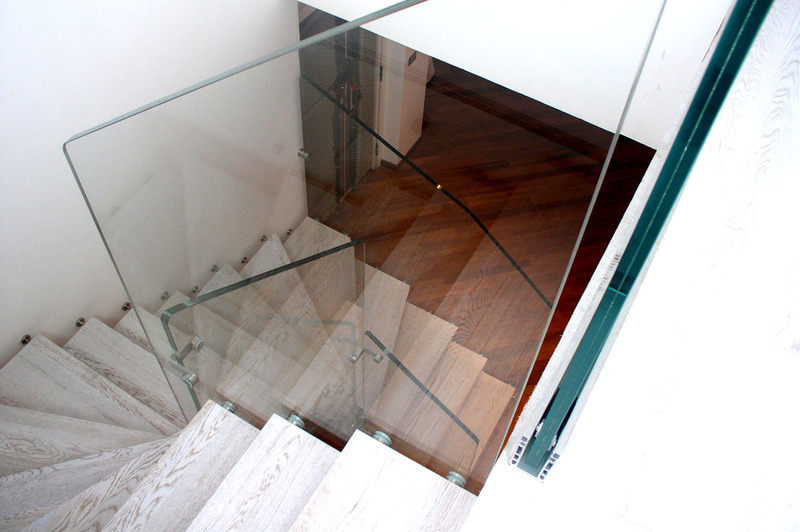 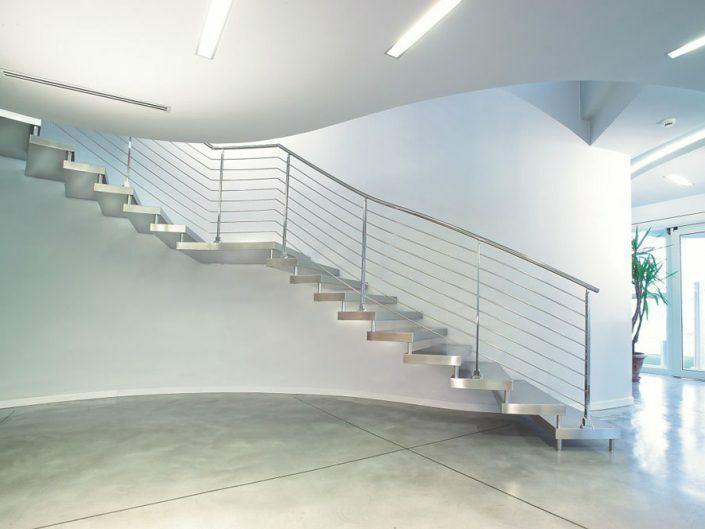 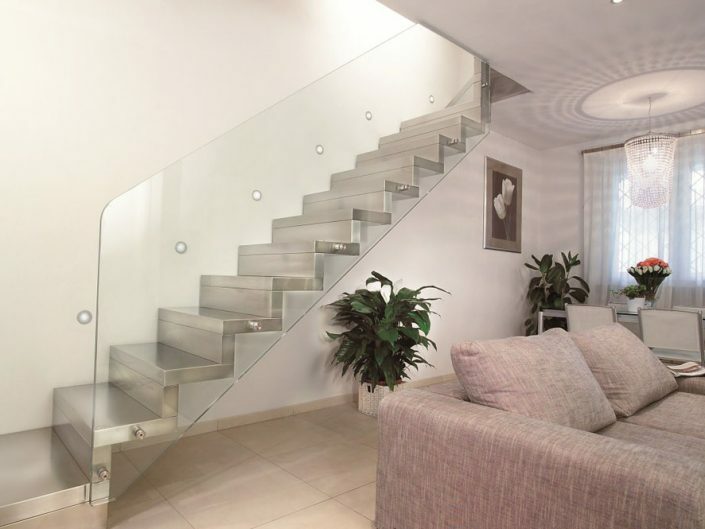 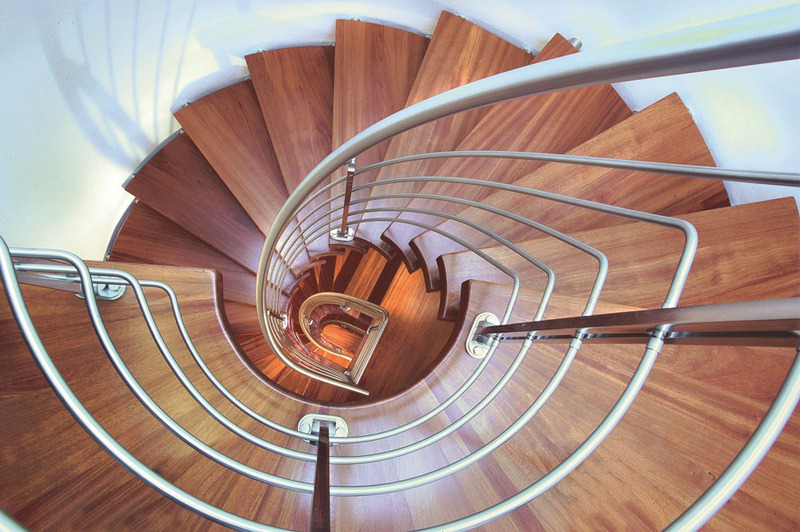 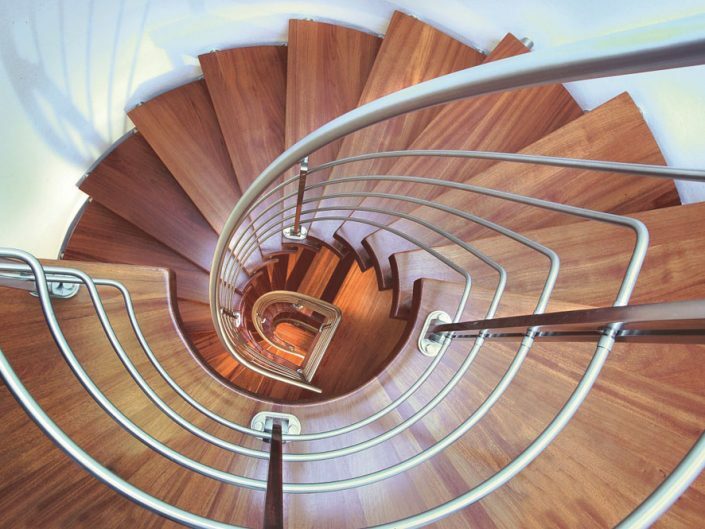 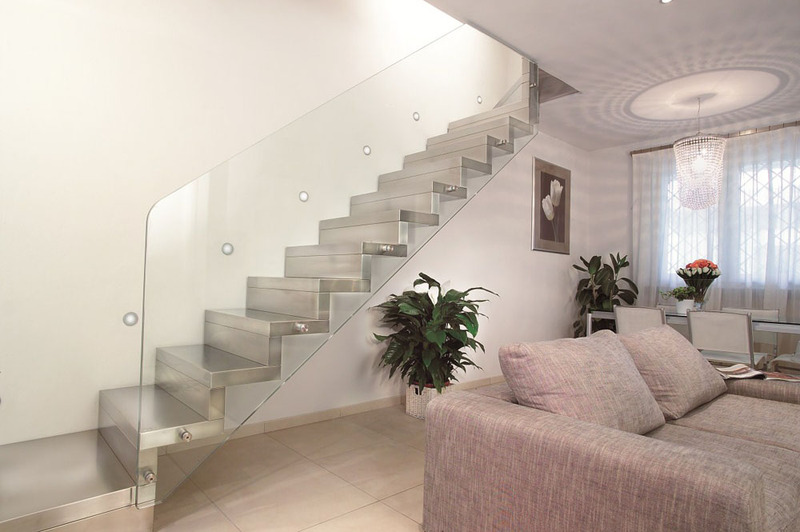 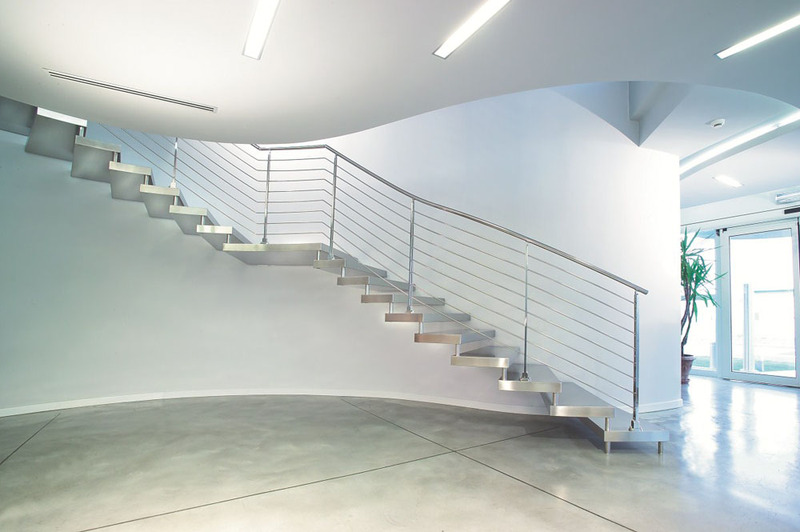 Our floating staircases are designed to ensure your enjoyment for many years to come.